Jorge Sampaio was born in Lisbon on September 18th 1939. He is married to Maria José Ritta and has two children. He studied music from a very early age and due to his father’s career – a doctor who specialised in public health – he spent long periods of his childhood in the United States and in England. He attended secondary school at Pedro Nunes and Passos Manuel lycées. In 1961 he graduated in Law from Lisbon University. Whilst at university he was involved in various academic activities that marked the start of persistent political action against the dictatorship. He was elected President of the student’s union of the Faculty of Law in 1960-61 and Secretary-General of the Federation of Students Associations in 1961-62. In this capacity he became involved in the students crisis in the early 60s, which led to a widespread revolt that shook the regime considerably and lasted until the 25th of April, 1974. Meanwhile he took up a legal career. He became a member of the board of the Law Association, playing an important role in the defence of political prisoners. In 1969, he stood for parliamentary elections to the National Assembly as a member of the CDE (Electoral Democratic Commission), opposing the ruling dictatorship. Politically active, he participated in the resistance movements, working towards a socialist-inclined democratic alternative. In 1974, following the April 25th revolution, he became one of the driving forces behind the creation of the «M.E.S.», a socialist left-wing movement, which he abandoned at its founding congress, in December, due to fundamental ideological disagreements. During the years of the revolution he played an important role in promoting dialogue with the moderate wing of the Armed Forces Movement and actively supported the positions of the «Group of Nine», who played a key role in supporting a transition to a democracy in the South European model. In March 1975 he was appointed Deputy Minister for External Co-operation in the IV Provisional Government. The same year he founded the «Socialist Intervention», an association of politicians and intellectuals who were to play prominent roles in public life. In 1978 Jorge Sampaio joined the Socialist Party. In 1979 he was elected to Parliament and became a member of the National Secretariat of the Socialist Party. From 1979 to 1984 he was a member of the European Human Rights Commission of the Council of Europe where he played an important role in defending fundamental rights and in contributing to a more dynamic implementation of the principles contained in the European Convention on Human Rights. He was re-elected to Parliament in 1980, 1985, 1987 and 1991. In 1987/88 he was chairman of the parliamentary group of the Socialist Party and in 1986/87 he headed the international department of the Socialist Party. He was also co-chairman of the “Africa Committee” of the Socialist International. In 1989 he was elected Secretary-General of the Socialist Party, a position he held until 1991. He was appointed by Parliament member of the Council of State, a consultative body of the President of the Republic. In 1989 he ran for Mayor of Lisbon and was elected, later re-elected in 1993. At the time his candidacy was of great political significance and gave what were local elections a national impact. As Mayor of Lisbon he introduced new concepts and methods of planning, management, integration and urban development. From 1990 to 1995 he was President of the Union of Portuguese-speaking Cities (UCCLA) and in 1990 was elected Vice-President of the Union of Iberian-American Cities. He was also elected President of the Eurocities Movement (1990) and President of the World Federation of United Cities (1992). 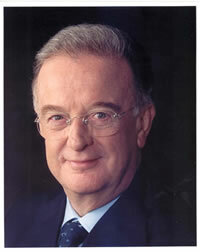 In 1995, Jorge Sampaio stood for the presidential elections. He enjoyed the support of personalities, both independent and from other political areas, who played significant roles in the political, cultural and economic life of the country. He was also backed by the Socialist Party. On 14 January 14, 1996 he was elected on the first ballot. He was sworn in as President of the Republic on March 9th. He ran for a second term of office and was re-elected on the first ballot on 14 January 2001, for another five-year term. Throughout the years Jorge Sampaio intervened in political and cultural affairs namely through his writings in newspapers and magazines («Seara Nova», «O Tempo e o Modo», «República», «Jornal Novo«, «Opção«, «Expresso«, «O Jornal», «Diário de Notícias», «Público», etc.). In 1991, he published a collection of his political essays entitled “A Festa de um Sonho”. In 1995 a new work of his was published under the title “Um Olhar sobre Portugal”, setting out his views on domestic problems in response to concerns expressed by Portuguese opinion-makers in various areas of society. In 2000 he published a book called Quero Dizer-vos, in which his present views on the challenges faced by the Portuguese society are laid out. His presidential speeches have been published in Portugueses, vols. I-X [1997-2007]. In April 2006, he was sworn as member of the Council of State in his capacity of former President of the Republic. In May 2006, he was appointed by Kofi Anann as the UN Secretary General’s Special Envoy to Stop TB and in April 2007 was appointed by Ban Ki-moon, UN Secretary General, as UN High Representative for the Alliance of Civilizations, a position he held until 2012. In February 2007, he was designated Chairman of the Consultative Council of the University of Lisbon. He is Grand Collar of the Order of the Tower and of the Sword, Valour, Loyalty and Merit and of the Order of Liberty and Grand Officer of the Order of Prince Henry. Ha has several foreign orders, namely: Grand Collar National Order of the Southern Cross, from Brazil; Collars of the Orders of Charles III and Isabella, the Catholic, from Spain; Grand Cross of Legion of Honour, from France; 1st Class of the the Supreme Order of the Chrysanthemum, from Japan; Grand Cross of the Order of the Golden Lion of the House of Nassau, from Luxemburg; Grand Collar of the Order of Wissam Al-Mohammadi and Grand Cross of the Order of Wissam Alaouite (Wissam Alaouit Cherifien), from Morocco; 1st Class Order of Friendship and Peace, from Mozambique; Grand Cross of the Royal Order of St Olaf, from Norway; Grand Cross of the Order of Oranje-Nassau, from The Netherlands and Knight Grand Cross of the The Most Distinguished Order of St Michael and St George and of the The Royal Victorian Order, from the United Kingdom.